Jim Christian graduated from the University of Minnesota and has been serving the community as a financial advisor since 1987. Jim is Series 7, Series 63 and Series 24 licensed serving clients in 17 states. Jim has earned several professional rigorous designations from the American College including Chartered Life Underwriter (CLU), Chartered Financial Consultant (ChFC) and Retirement Income Certified Professional (RICP). Jim is married to Julie and they have two adult children Tyler and Hannah. They sold their 10-acre hobby farm near Webster, MN, and are now enjoying suburban life in Apple Valley. Jim enjoys the following activities; scuba diving, biking, hunting, skiing, and woodworking. Jim is actively involved in the Lakeville Rotary Club and was President from 2013-2014. 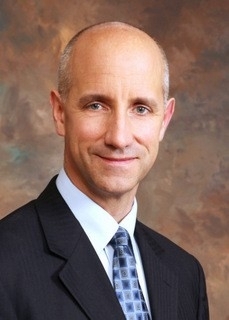 Since 1988 he has been a member of the Society of Financial Service Professionals where he served as President of the Twin Cities Chapter from 1997-1999 and National FSP President 2014-2015. Jim believes that everything we have is a gift and that we are to be good stewards of those gifts and blessings. He is a Christian (no pun intended!) and values his family tremendously.